In developing ADAS (Advanced Driving Support System), here we explain the typical functions of ADAS, including ACC, and the equipment and technology supporting ADAS such as sensors and ECU. We also introduce seminars, news information and ZMP solutions that can obtain valuable information on ADAS development. ADAS (Advanced Driver Assistance Systems) is a system in which the vehicle itself grasps the surrounding information in order to realize the safety and comfort of the driver, accurately displays and warns the driver, replaces the driver.It is a collective term for functions that support driving such as controlling a car. Several functions are now being adopted in vehicles, but ADAS technology is a system developed to improve the safety and convenience considering the future of car society, and various technologies developed.In addition to improving functions, widely penetrating is also a major key.Therefore, it can be said that it is necessary to establish various requirements such as sensor selection, price of processing chip, selection of mounting position. In addition, Autonomous Driving from the point of view of, SAE (US Society of Automotive Engineers) is defined by relating that Autonomous Driving has been positioned in level 2 the driver to perform the operation task at the classification level. 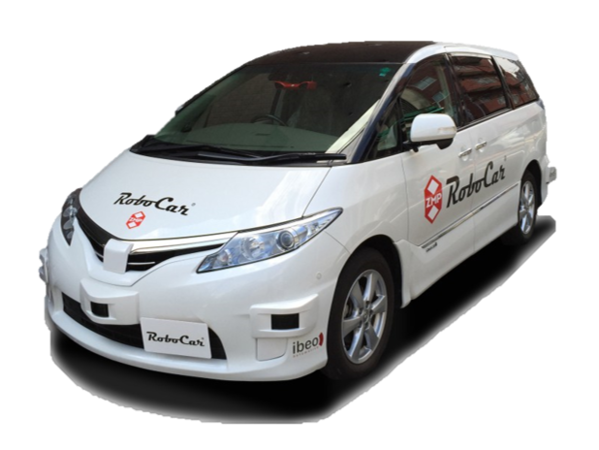 In this section, terms that realize ADAS such as ACC (Adaptive Cruise Control System), which is a typical function of ADAS, its specific functions, applications, OEM companies (Toyota, Nissan, Honda, etc.) shall be discussed. For details on the ADAS function, see "All of ADAS (Advanced Driver Assistance System) function"
ACC is the function that the ECU manipulates the accelerator and brake of a car based on information from the external sensor. If you have a car in front, you can follow the following while keeping a constant inter-vehicle distance. Also, if there is no leading car, the driver sets at an arbitrary speed and travels. Cruise control etc may be abbreviated. It is a representative function of ADAS which is currently installed as many options for vehicles with high grade of mass-produced vehicles. FCW is the risk of collision such as detecting the leading vehicle within the space (distance) assumed by the sensor, recognizing the lighting of the brake lamp such that the distance between vehicles is short.It is a function to urge the driver to issue an alarm or evasive action if it increases. Forward collision warning is an ADAS function which is comparatively easy to adopt because sensors can also use various types such as detection using a millimeter wave sensor case or a stereo camera. AEBS is also called CA (Collision Avoidance), and when the system decides that the collision can not be avoided despite warning the driver of the FCW (Forward Collision Warning) to avoid collision.It is a function to reduce the damage at the time of collision by operating. Recently, in addition to brakes that reduce the impact at the time of a collision, measures to reduce shock at the seat have been taken to reduce the impact (damage) to the driver at the time of a collision, and the structure of the seat belt entertainment and the headrest changes are also being made. Night vision / Pedestrian Detection is displayed as a heat source on a dedicated display when it is difficult to visually confirm by using an infrared camera, such as at night or when the fog is dense. For pedestrian detection, there are cases using stereo cameras.There are also methods for combining millimeter waves and monocular cameras for pedestrian detection. It recognizes traffic signs such as temporary stop, entry prohibition, and speed limit from the image data taken by the camera, and displays appropriate warning traffic information to the driver. As a general display method, recognize the road sign with a monocular camera, display it in the meter at an appropriate timing, and urge attention to the sign. In order to improve the recognition technology, it is an important factor to improve accuracy to search travel data of each country's signs and collect correct answer data of recognition. It detects the lane on the road and warns the driver when the vehicle predicts deviation of the lane. If the camera recognizes the lane and does not emit a turn signal and behaves like departing from the lane, it warns you to vibrate the steering wheel, displays on the display, or sound an alarm.We can see the image of lane detection as follows. In addition to the above-mentioned LDW (Lane Departure Warning), operation assistance for generating torque to power steering is performed. In addition to warning the driver, the system actively involved in driving becomes LKAS. LDW (Lane Departure Warning), LKAS (Lane Departure Prevention Support System) generally seems to function in a state such as the state where the vehicle speed is raised (ex 50 km / h or more) in many cases. The function of this ADAS is to monitor the vehicle approaching from the side behind the driver's blind spot, which will cause accidents such as lane change, but the mirror position of the door mirror and display.It is a function to display / report to. As a method of notification and reporting, there seems to be a notification method using alert sounds. This technology is also a function to assist the area where the driver can not see (the place where it is likely to be a blind spot).It is a function to detect attention by emitting an alarm sound etc., to the driver by detecting ultrasonic sensors, etc.,in the rear left and right areas of the parking lot, people crossing the back of the car and bicycles, etc. We grasp the driving situation from the expressions of the driver during driving and steering operation etc., and display a warning on the display when judging that it is in trouble with driving.Depending on the situation, there are cases where the car is automatically stopped.It is a system that shoots a driver with a camera, detects the degree of concentration on driving,dozing,etc.In general,we measure images of the direction of the face using a camera and the eye opening details. In recent years, the automatic headlamp optical axis adjustment function is ADAS function adopted for minicars. As a function, when entering curves and intersections at night, it is a function to automatically adjust the direction of lighting the headlight according to the direction of the steering wheel. It also includes the function to detect the presence of oncoming vehicles and pedestrians and switch between high beam and low beam. There was a rear monitor and back sonar in the function that supports parking than before. In recent years, it has been proposed to attach a line for predicting the course of the vehicle according to the steering angle of the steering wheel to the monitor, to guide the turning timing at the time of parallel parking by voice, to detect the lane marking, to set the target parking position of the vehicle , and even the function that the car carries out the parking operation itself has been developed. In addition, it is equipped with a function to suppress erroneous departure due to a mistake on the brake and accelerator pedal. 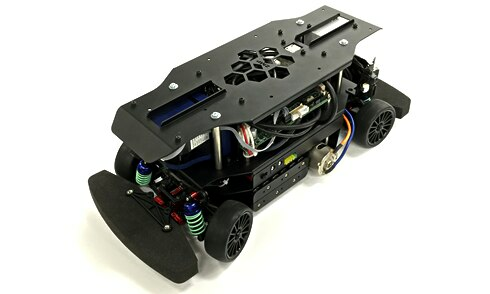 Among the products of ZMP, we sold RoboCar 1/10, a radio-controlled car sized robot car that can be done in the laboratory or laboratory in developing the function of ADAS, and has sold over 300 units so far. It is a product that can deepen the knowledge of ADAS technology by using what actually moves. The biggest difference between ADAS (Advanced Driving Assistance System) and AD ( Autonomous Driving ) lies in how far the driver is involved in driving a car. ADAS is an idea to enhance the function to prevent accidents as much as possible before the driver drives a car, and as far as possible to reach the destination comfortably. On the other hand, Autonomous Driving is the idea that it will no longer be involved by humans and will reach the destination at the discretion of the car. SAE (Automotive Engineers Association of America) divides the level of Autonomous Driving into five stages as below. We also adopt this classification in Japan. 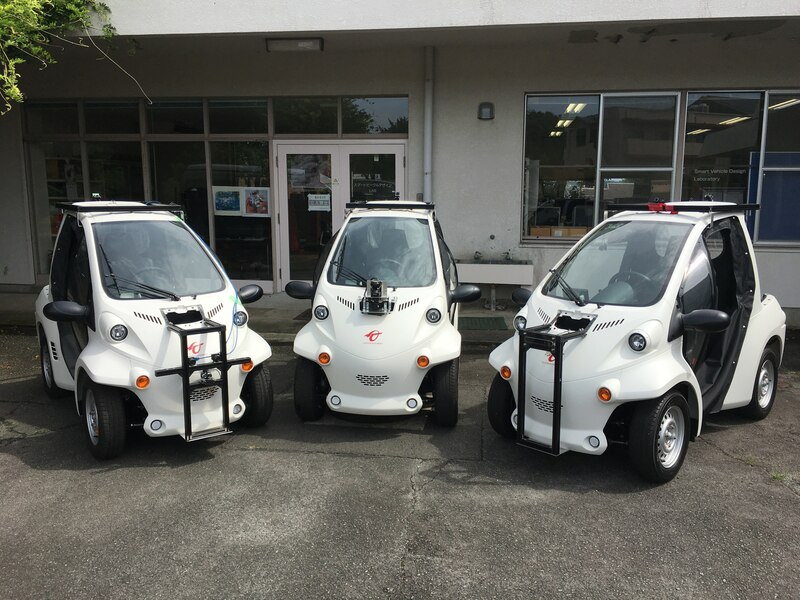 For level 0 to 2, the driver basically carries out the driving task, but at level 3 and above, the driving task will be determined by the Autonomous Driving system, ie the car itself. Since ADAS is the subject of the driving task, the driver is a generic name of the driving support function corresponding to Autonomous Driving level 2. For more information please refer to "About ADAS (Advanced Driving Support System) and AD (Autonomous Driving)"
Technologies for realizing the function of ADAS (Advanced Driver Assistance System) include a sensor technology for grasping the circumstances of the outside world, on-vehicle ECUs that control the car body based on the obtained information, and on-vehicle ECUs linked fast and accurately.There are various elements such as an in-vehicle network that makes it possible, an in-vehicle locator that accurately identifies its location. For an overview of the technical elements of ADAS, see "Technologies supporting ADAS (Advanced Driver Assistance System)"
In order to realize ADAS (Advanced Driving Assistance System), we must recognize environments such as moving objects, structures and road shapes around the vehicle. A sensor for recognizing the external environment is called an "external sensor". 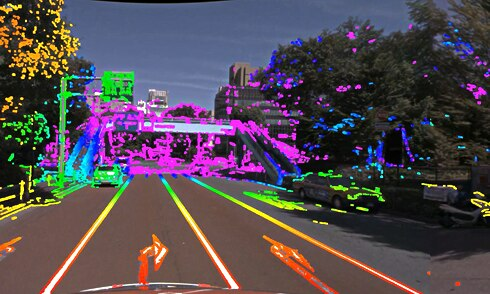 In order to accurately recognize the surroundings of the vehicle, it is sometimes impossible to grasp the outside world with just one type of sensor at this stage. 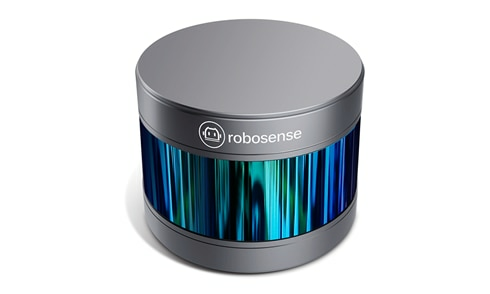 So, we are also developing so-called sensor fusion technology combining various external sensors. For the camera used for ADAS, monitoring and sensing, two functions are required. The purpose of the monitoring function is mainly to provide complementary information such as information on blind spots to drivers. The sensing function is a function to extract information necessary for control of the car from pictures taken by the camera such as pedestrians and traffic signs. Depending on the information you take out, you may call attention to the driver, or you may control the car such as accelerator, brake, steering wheel. The camera can also be classified into a monocular camera and a stereo camera. A stereo camera has two lenses like a human eye, enabling a more accurate distance measurement. For in-vehicle cameras, "Dash cam used in ADAS (Advanced Driving Support System)"
ZMP provides camera modules and systems for developing ADAS · Autonomous Driving technology. 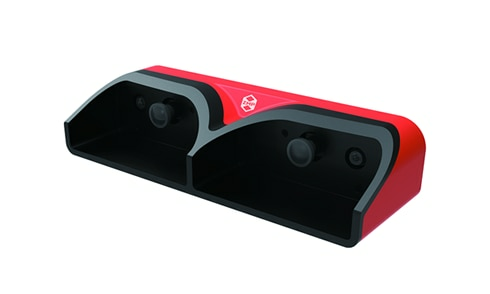 A stereo camera capable of sensing a distance of 150 m and a horizontal viewing angle of 110 °. In ADAS radar is mainly millimeter wave radar. Millimeter wave radar measures the reflected waves of radio waves emitted by the equipment and detects the position and speed of the target object. Compared to cameras and laser radar, it is less susceptible to rain, fog, backlighting, etc., and it is resistant to nighttime or bad weather when visibility is bad. This feature is utilized as a sensor to detect pedestrians and other cars. LiDAR is an abbreviation for Light Detection and Ranging, which is translated into laser image detection and ranging. It is one of remote sensing technology using light. Compared with millimeter wave radar, distance measurement with surrounding objects such as obstacles can be done in several centimeters. 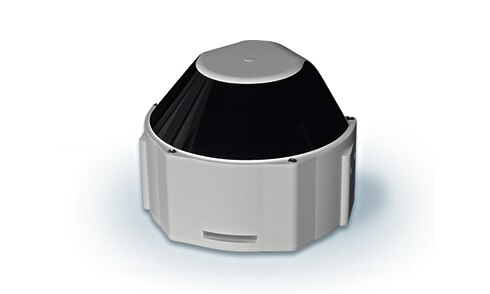 For automotive LiDAR, each company is developing, and ZMP also provides 3D-LiDAR as a sensor for development. 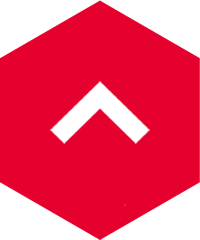 A locator is a device that accurately measures its location. Until now, it was utilized by car navigation etc. based on GPS satellites. However, when implementing various ADAS functions, identification of the position of the vehicle in lane units is required. 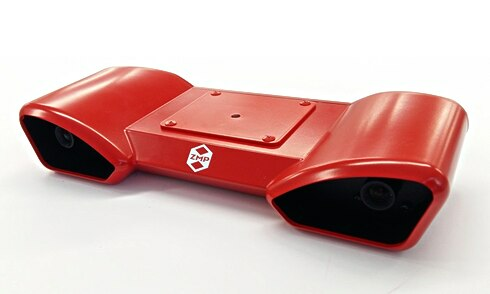 For that purpose, we will use the gyro sensor, vehicle speed measurement etc. to measure the current position with higher accuracy. Many ECUs (Electronic Control Units) are installed in modern automobiles where electronic control is advancing. It is said that there are dozens of mass-market vehicles and more than 100 ECUs are installed in luxury cars. The ECU in ADAS plays a central role in extracting necessary information based on the data acquired by the external sensor, alerting the driver and warning, controlling steering, accelerator, brake, etc. ADASにおける車載ECUについては、「Role of in-vehicle ECU in ADAS (advanced driving support system) and required performance. Collaboration among ECUs is important for automobiles equipped with a large number of ECUs. A typical protocol for each ECU to communicate properly is CAN (Controller Area Network). Other standards include Ethernet, FlexRay, LIN, MOST and others. There is also communication with the outside world via TCP / IP as a connected car connected to the Internet. HMI is an abbreviation for Human Machine Interface, which is a generic term for display and operation necessary for people and machines to exchange information. Automobiles equipped with the ADAS function have many sensors including cameras. Those sensors acquire a large amount of data and alert the driver and give a warning to the driver as a result of the ECU's calculation based on them, but there is a limit to the amount of information that people can recognize while driving . Therefore, the concept that vehicles provide information in a proper form to the driver is collectively called HMI. The design of the HMI is an important element in ADAS that urges the driver to warn or warn for driving support. For HMI positioning in ADAS, scheck "Positioning of HMI (Human Machine Interface) in ADAS development. Technologies such as vehicle communication systems, inter-road communication systems, dynamic maps, etc. are attracting attention in order to further advance ADAS and Autonomous Driving . In developing the concrete functions of ADAS such as ACC and FCW mentioned above, there are many factors such as information presentation to the driver via sensors, in-vehicle ECU, HMI, control of automobile, etc. For these developments, we must test various situations that can occur in actual traffic environments. Based on the concepts such as model-based development and HIL which are current general development methods for the necessary tests at the time of ADAS development,About test of ADAS (Advanced Driving Support System). ADAS related technology is evolving day by day. Mainly for the purpose of sharing the latest technical information, development makers and think tanks hold various exhibitions and seminars. ZMP also exhibits at various exhibitions and introduces our technology to everyone. As a seminar sponsored by the company, "ZMP Forum" is held once a year, and ADAS related information is delivered. ADAS related seminar information is "Seminar information related to ADAS (Advanced Driving Support System) "
Since 2007, ZMP is called "ZMP Forum" once a year and holds the latest research presentations by ZMP, seminars on technical announcements related to ADAS and Autonomous Driving.This year 2018 was held at Bellesalle Iidabashi station on July 18, 19 and 20. For more information:​ ​Announcement of ZMP Forum 2018"
ZMP has devices and solutions suitable for ADAS related development and verification. We can support ADAS related development from various angles, from solutions such as real road vehicle inspection for testing and evaluation of ADAS equipment, to device related items such as stereo cameras and laser LiDAR, Image Recognition algorithms and development software. For more information​ ​please refer to Product Infoand also"Cases",we have introduced various ZMP solution examples. The press releases and news related to ADAS in ZMP are introduced below. For inquiries regarding the above & document request etc, please contact us.